“This is a great day for Callaway and Custer County,” said State Sen. Matt Williams during a luncheon that took place before the ribbon cutting. Lt. Governor Mike Foley also addressed the crowd at the event, saying he was excited about the progress the state is making when it comes to energy. Foley pointed out that with a growing population, it’s going to be important to continue to embrace innovation. The Pandorf Ranch project was partially funded by a USDA Renewable Energy For America Program (REAP) grant. The deadline for the current round of REAP grant applications is May 2nd. Click here to learn more. 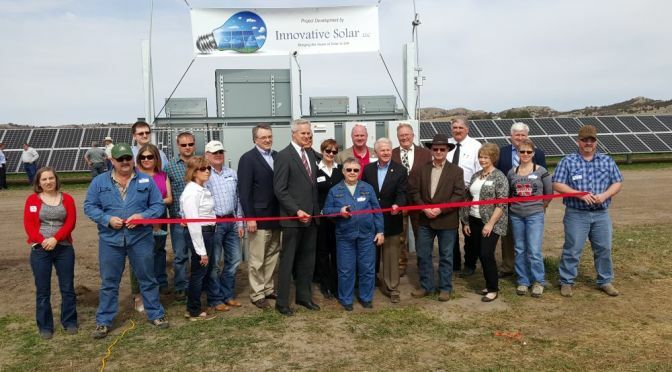 600 Kilowatt Solar Array Located On Custer County Ranch, by Dave Schroeder, Rural Radio Network / KTIC. The solar array will generate enough electricity to power 60 homes or from 10 to 12 center pivots. 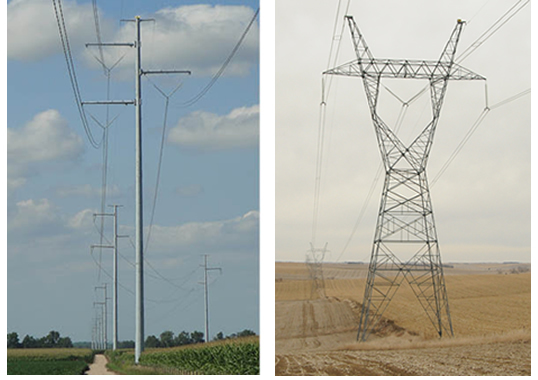 All of the power will be purchased by Custer Public Power District, according to General Manager Rick Nelson. He notes that Custer Power will be purchasing the solar power at similar rate to what they pay to purchase wholesale power from Nebraska Public Power District. Nelson says there’s been a lot of interest from other landowner groups in solar installations. This entry was posted in Nebraska / Midwest News, NewsBlog and tagged KTIC, Nebraskans for Solar, North Platte Telegraph, Renewable Energy for America Program (REAP) grants, Rural Radio Network, solar energy development in Nebraska on March 15, 2016 by Helen Deffenbacher.